Another great thing about Alaska is all the opportunities you have to see wildlife. We saw this little guy along side the road. He was hanging out with his mom and twin sibling. 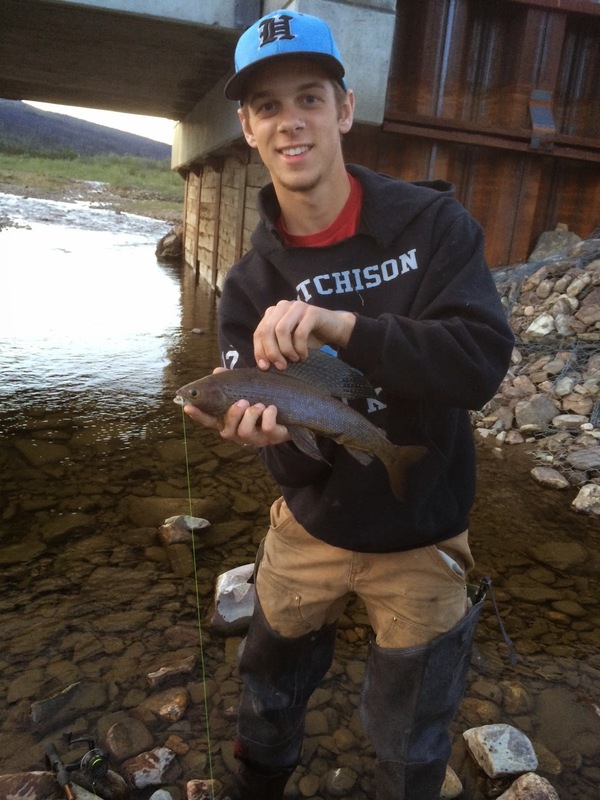 One of the great things about Alaska is the fishing. Does this photo need any words? Pure joy, maybe? In Alaska, it’s easy to have a portion of the river all to yourself, nobody else around for miles. The wide open spaces can’t be beat. In my bio when I say I have a love-hate relationship with Alaska--I really mean it. I do love it here in the summertime so very much. So, in recognition of the “love” side of my relationship of Alaska, I’m going to post various reasons, and some pictures of why I love it here throughout the summer. The wild roses are a particular favorite love of mine. Generally speaking, the roses you purchase at a flower shop no longer have the beautiful fragrance they used to have. Florists have bred the smell right out of them it seems and frankly, the smell is the reason I love roses. 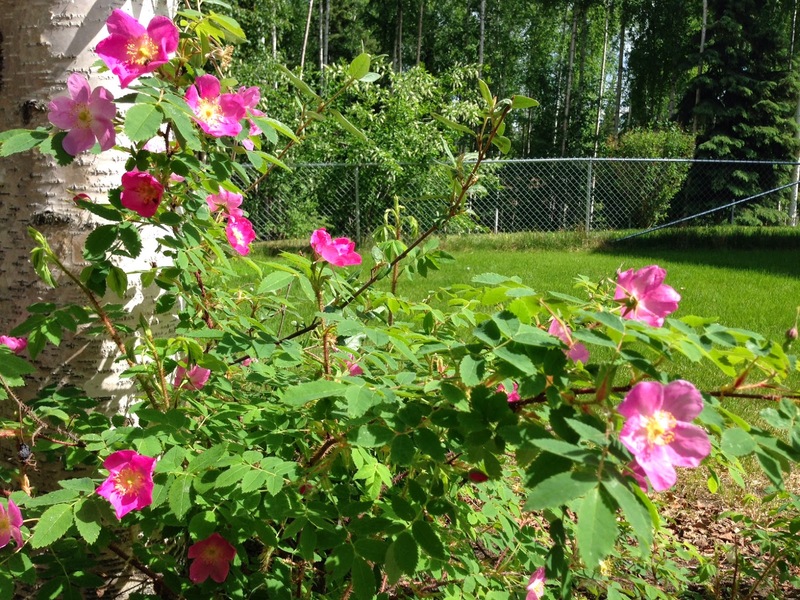 Alaska’s wild roses smell wonderful and grow naturally in thickets and rocky slopes all over Alaska. Many parts of the plant are edible during different parts of the season. The petals are made for jelly and for tea. In late summer, the rose hips can be eaten right off the bush for a quick snack. But more than anything, they are beautiful to look at and I look forward to seeing them every year.